Margaret Burroughs, sharing her message, as well as her spirit, in front of an exhibition depicting her life's work. Cain, next to Burroughs, with members of the Three River Jenbe Ensemble, who performed for her on a Fort Wayne visit in 2004. Charles and Margaret Burroughs, embraced by Haki Madhubuti, founder and publisher of he Third World Press, in 1987, on the 20th anniversary of the press. Mural inside Charles and Margaret's home, from the original Ebony Museum. 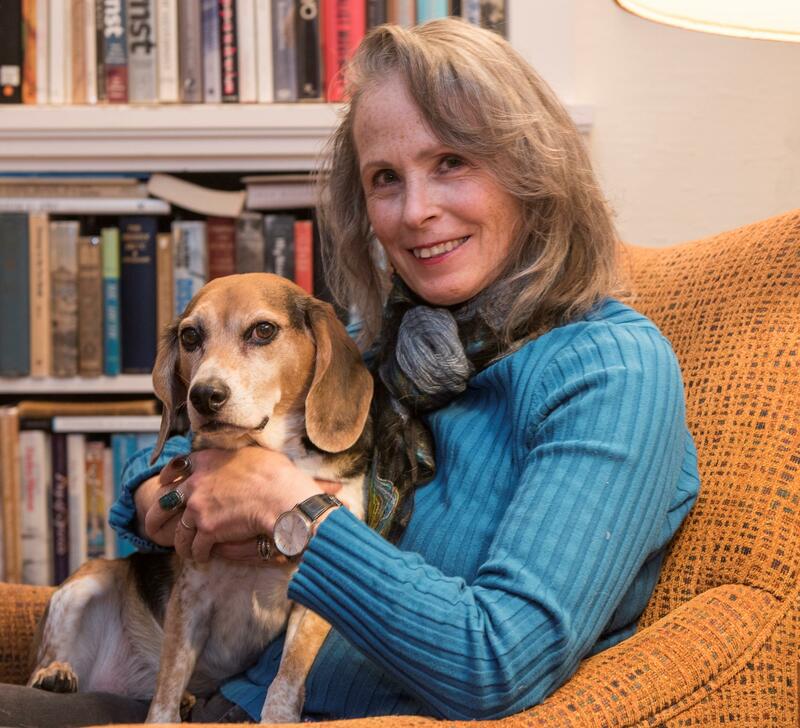 The author, at home, with her faithful friend, Bootsie. Fort Wayne author, Mary Ann Cain, has written a new book devoted to the life of Chicago artist and activist Margaret Burroughs. Cain's biography also tells the story of Chicago's Art Renaissance of the 1900's. 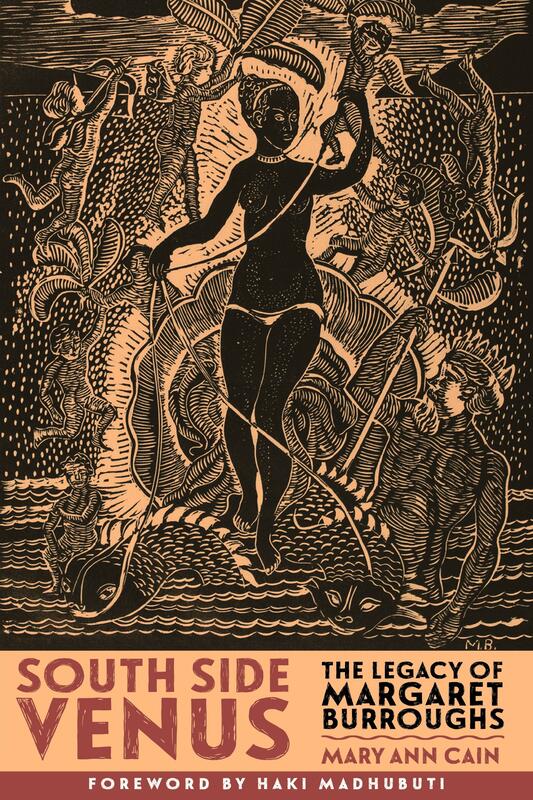 The saga, which traces Margaret's cultural contributions within her beloved southside Bronzeville neighborhood, also documents the history of the cultural renaissance Chicago enjoyed in the 20th century, which as Cain notes, "followed directly on the heels of the Harlam Renaissance." The work will be launched and celebrated locally on February 8th, with a multimedia celebration at the United Arts Center. WBOI's Julia Meek sat down with the author last week to learn the lasting impact Burroughs has made on her community, what Margaret's friendship meant to Cain, and how the story is being unfolded. Listen to an extended version of Julia Meek's on-air interview with Mary Ann Cain about her new biography, "Southside Venus: The Legacy of Margaret Burroughs. For more information about the event and the book, visit the author's Facebook page. Fort Wayne resident, Lili Carroll, is a multi-lingual counselor who draws from her own experiences to offer others support though difficult life transitions and the grief, anxiety, and depression that can follow. Fort Wayne area artist, Joel Fremion, has more than three hundred major "paintings" to his credit, and his medium of choice for all of them is fabric. Indiana native, B.J. Hollars, now a professor of English at the University of Wisconsin in Eau Claire, has a deep interest in the American civil rights movement and flair for creative nonfiction that have converged in a new book called "The Road South: Personal Stories of the Freedom Riders." The Unity Barber Shop on East Pontiac Street offers peace and hope to its regulars, as well as a good haircut, thanks to its founder, known to the community he serves as Foundation One.